Jean Pierre is an efficient and focused-working director who always gives 100% in every project he undertakes. His great eye for the perfect framing and an outstanding performance from the cast makes him one of the best in his field, from fashion, storytelling to beauty and with or without celebrities – his films never seem to disappoint. He always stretches his work to its most audacious direction, much to the delight of his clients, such as L’Oréal, Neutrogena, Kenzo, Cartier, Clinique or John Frieda. Initially having started in the industry as a creative director, Jean-Pierre decided to devote himself to film direction. His immense passion, but also his background, put him into the position to participate in the brand reconstruction of Maybelline and in setting the tone for the brand world of Fructis. In 2010 L’Oréal asked him to invest in the renewal of its image. 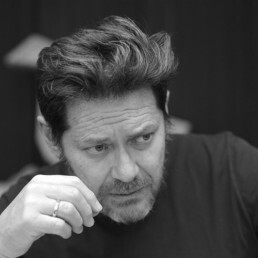 Jean-Pierre mainly directs for the European and American market and has worked with the likes of Claudia Schiffer, Doutzen Kroes, Hugh Laurie, Jennifer Lopez, Gerard Butler, Laetitia Casta, Diane Kruger, Eva Longoria, and most recently Eva Green… working on male and female beauty products alike.